Bowalley Road: An Expression Of Democratic Interest. People Power: "Politics without romance" was how the extreme right-wing "public choice" theorist, James Buchanan, described the substitution of market forces for Democracy’s “expressive interests”. If the 2017 election was about anything, it was about turning that around. REGARDLESS of NZ First’s ultimate decision, Writ Day, 12 October 2017, was a day for celebration. The 2017 General Election, now completed, will, eventually, deliver a government which has been shaped by the will of the New Zealand people – in full accordance with democratic principle. The tragedies and injustices that impelled the electorate's judgement will carve-out for themselves a substantial and urgent claim upon the new ministry’s programme. The priorities of government will change, for the very simple reason that we, the people, have changed them. Any politician who believes it possible to simply pick up where he or she left off before the voting started, is in for a rude awakening. It’s a process which has been underway for the best part of thirty years; set in motion, as you would expect, by the radical “reforms” of the Rogernomics era. The idea of public service was, of course, anathema to the devotees of the so-called “free” market. The ideas of the latter only made sense if human-beings were driven entirely by self-interest. That thousands of people willingly, and for only modest financial reward, were daily devoting themselves to the welfare of their fellow citizens, flatly contradicted the free-market ideology of the “reformers”. That these free-marketeers seized upon the “public choice” theories of the American economist, James Buchanan, is unsurprising. A Nobel laureate, Buchanan was feted by the Right for his “insights” into the behaviour of public institutions. These he characterised as classically self-interested entities, whose actions, more often than not, turned out to be economically and politically sub-optimal. 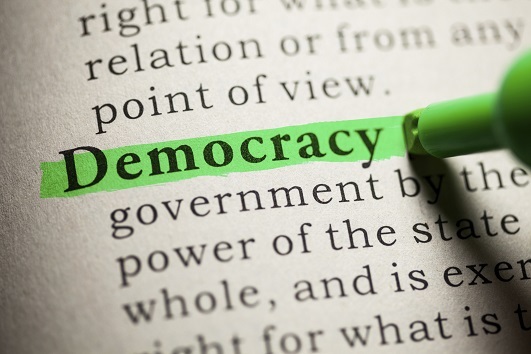 The recent furore about the level of remuneration paid to the upper-echelons of New Zealand’s largest local government bureaucracies points to the “success” of the public choice theorist’s reforms. The old local bureaucracies, presided over by executive officers known, quaintly, as “Town Clerks”, exerted minimal pressure upon the public purse. The new bureaucracies, however, modelled as they are upon the ruthless rapaciousness of the private sector, are presided over by CEOs who clearly draw their inspiration from the obscene bonuses paid out to their corporate counterparts. Such unaccountable looting of the public treasury is, of course, music to the free-marketeers’ ears. Collective unaccountability and excess being infinitely preferable, as an example of public sector conduct, to collective responsiveness and restraint. This essay was originally published in The Waikato Times, The Taranaki Daily News, The Timaru Herald, The Otago Daily Times and The Greymouth Star of Friday, 13 October 2017.
and thus it inevitably leads to intensified socio-economic polarization into "Haves" and "Have-Nots", because the poor and hedonistic have the freedom not to care enough about "tomorrow". Therefore free market libertarianist democracy carries within itself the same seed of self-destruction or -limitation as exclusively short term public needs and desires based democracy regardless of the sensitive economic indicators revealed through free market supply and demand profitability achievements and unavoidable cost factors, as both evade the responsibilities and austerity and foresight required for long term, permanent prosperity and welfare sustainability, which should be woven into the taxation system for the long term benefit of all. It appears that regardless who forms the government, we are actually moving in this direction. 'Politics without romance'. A word with variable meanings said by a person with little ability to reflect I think - that would describe James Buchanan. It;s a pity there was a special category started in the Nobel prize for economics. It should have been sited in the arts. On considering market forces and how they operate it seems there is something of both above meanings in its aficianados beliefs. Remind those employees of local and central governments that they still are 'public servants' and cut their cloth accordingly. It is obscene that a CEO could get paid more than our prime minister of whatever hue. Someone on a US podcast suggesting the future of that divided nation is anarchy and I see that as applying here. I don't think anyone will be satisfied. Thoroughly agree, we need a new law that expressly says anyone working for local or central government is a public servant and their pay scale will not be related to private sector pay. There should be a complete disconnect between the two. It is none of our business what a company pays someone but for public servants we must demand a decisive say. Public sector pay should perhaps be capped by a commission staffed by citizen volunteers randomly picked. That would be democratic. It cannot be set by politicians nor of course any bureaucrat. But I think the cancer-like growth in bureaucracy and the pay packets and numbers of useless excessively pampered underperformers in it is way older than some obscure guy from the right you have decided to beat up. It goes back to before the Greeks & Romans tried to govern the ancient world. Bureaucracy always will grow, and they always will try to get their hands on more of our money, more of our freedoms. They need to be cut back regularly like a shrubbery or they will take over the house. And they always grow best under a Labour government as many only get a job due to their patronage. It is no coincidence that Wellington is always on the left, as it is dominated by the bureaucracy who know their over-paid jobs are safer under Labour. So it's your people Chris you need to preach to, to curtail the buggers and make them our servants once more. And I agree, they may actually then provide public service. Great article on a very valid and pertinent topic. A few words tell the story: public servant. Servant, not master.....apply that to any of them the result is a big fail, they are not serving us. Citizen....thats the supposedly served....now referred to as "clients", beholden upon their "case managers". Rate / tax payers...the people who fund salaries, those to be served.....now enumerated in order to ascertain revenue opportunity. One fact around remuneration levels. In a true private enterprise world you are only paid to the level of your ability in the market to drive revenue flow and profit. If you can only administer you are worth a lot less. So why do we allow people who have no revenue generation responsibility (such as the CEOs of government departments) such high pay?